lc blogs: holiday gift guide: 2. If you missed my gift guide from last week, scroll down. 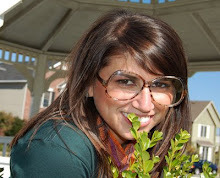 Who knew it was possible to find so many great and thoughtful gifts on the internetS? I'll be honest: I did. I don't remember the last Crimmas gift I purchased for someone in an actual store. If you can't buy it off the internetS, you don't need it. The same mantra rings true for Wal-Mart. If Wal-Mart doesn't have it, you don't need it. For real though. There are some really great items out there, kids! Do you want an extra pat on the back this year for being so freaking thoughtful with your gift-giving? Why: Because what city in America needs more love than Detroit? Maybe Cleveland. 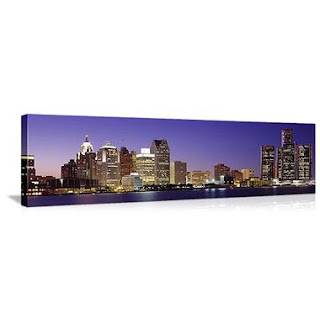 So, if you love Detroit, you need to shout it from your living room or bedroom walls. Bonus: Proceeds from your purchase actually go to Michigan's fledgling economy. Why: Because fear mongers are annoying. Bonus: You get to watch someone wear gloves around while they think they are being "protected" from all germs. Entertainment for decades. Why: Because sometimes, you really need to go to the grocery store, but can't imagine taking your sweatpants off to do it. Bonus: Self-explanatory! 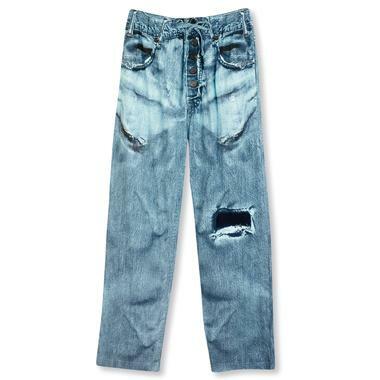 They are SWEATPANTS that look like jeans! 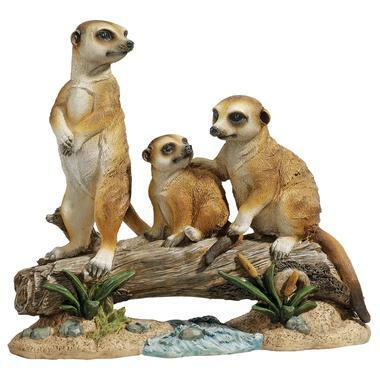 Why: It's a known fact that meerkats and meerkat lovers are difficult to shop for, so why not? Bonus: There are three meerkats on the sculpture. Why: Because gambling problems sometimes force people into dark, dark places. 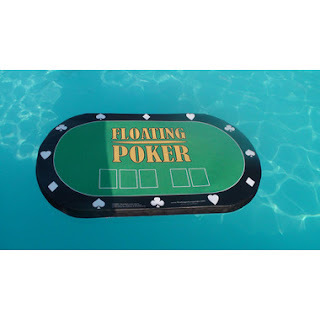 At least this gift gets your gambler out into the sunlight every once in a while. Bonus: You get to play poker. IN A POOL. 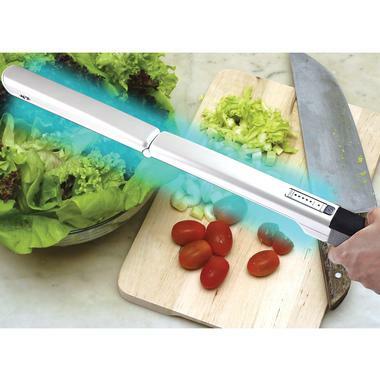 Why: If buy somebody gloves to "protect" them from germs, you might as well take it one step further and get them this wand that kills bacteria on food. Bonus: Looks like a light saber. Another bonus: you don't even have to leave the poker table for pee breaks. Can I get the link to the jean sweatpants? Scott and I are enjoying these gift ideas. Thanks. Olivia has no idea why we are laughing, but HE IS GOOD! the elsie awards: the winners.